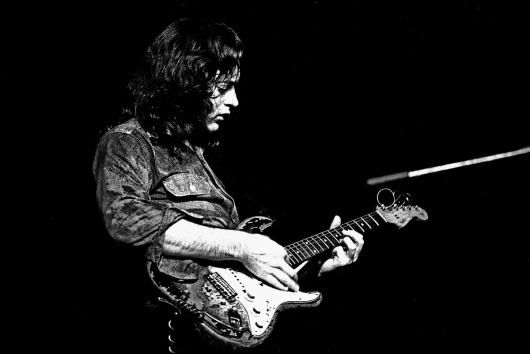 This month saw the 70th birthday of the late Rory Gallagher, who quite possibly remains one of the greatest guitar players who ever lived, and who most of today’s generation probably never heard of. Born on March 2, 1948, the late Irishman’s down to earth appearance and aw-shucks (in the best way possible) demeanor and attitude almost masked a musical talent that literally and not arguably sometimes stood toe to toe with other heavyweights of the craft like Jimi Hendrix, Eric Clapton, and Jimmy Page, all of whom sang his praises and were in complete awe of his talents, like millions around the globe. And yet, there still remains a kind of ambiguity and mystery about who the man was if one asks the John Q guitar playing public.